Oscars TV Ratings Fall, Again : The Two-Way It may be Hollywood's biggest night, but fewer people chose to watch the 90th Academy Awards on Sunday. It's the fourth consecutive year viewership has declined as Oscars lose luster to Web rivals. The powerhouse ratings grabber that is the Oscars telecast dropped to record low viewership this year, falling nearly 20 percent from 2017. It's the fourth consecutive year that viewership has declined. Usually tied to the success of blockbuster movie hits, normally no fewer than 30 million people tune in on the big night to see the outcome of movie nominees. But this year just 26.5 million people watched, according to Nielsen records — which is even fewer than this year's Winter Olympics opening ceremony in Pyeongchang, which drew 27.8 million viewers. "The previous low-water mark for the Oscars came in 2008, when 'No Country For Old Men' won best picture. Only four years ago the Oscar reached nearly 44 million viewers. The biggest Academy Awards audience on record came in 1998, when the blockbuster 'Titanic' was named best picture." Acute political statements from celebrities also took center stage at this year's 90th Academy Awards. Conservative media didn't hesitate to link the low ratings to the powerful messages from social advocates. "On Monday, the awards show's low ratings were a hot topic on Fox News, discussed at the top of the hour on both Tucker Carlson's and Sean Hannity's evening shows. Piers Morgan's column for 'The Daily Mail' was a 10-point plan to save the Oscars. A headline on The Daily Caller's website read, 'The Ratings For Jimmy Kimmel's Trump Hate-Fest Oscars Crater Towards All-Time Low.' And John Nolte of Breitbart News said the 'writing was on the wall for this ratings catastrophe,' calling Kimmel one of the most 'divisive and polarizing figures in the country' and a 'Trump-hating Democrat.' "
On Tuesday, President Trump echoed the sentiments of conservatives in a morning tweet. 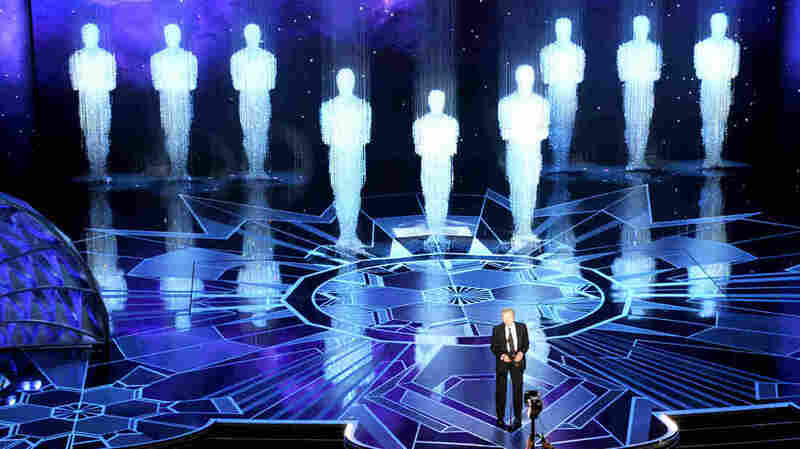 The Oscars are also facing competition with streaming video, a recent challenge incurred by all major television events, according to the Los Angeles Times. Viewing habits are changing as well, and "younger viewers are also showing a tendency to watch highlights of major TV events on social media platforms rather than watch a program in real time on television." According to Nielsen, which has been registering ratings for the The Academy Awards since 1974, the Oscars still bests other awards shows, such as The Golden Globes which "reached 19 million viewers in January and the Grammys [with] an audience of 19.8 million."